My inspiration for launching a destination travelers’ philanthropy program for Cape Cod, Massachusetts originated in distant Monteverde, Costa Rica. After participating in the Third International Travelers’ Philanthropy Conference conducted there by the Center for Responsible Travel (CREST) in 2011, I had the opportunity to see the Monteverde travelers’ philanthropy program firsthand. I noticed many similarities to my own home on Cape Cod. Both depended on tourism. Both shared the need to help educate and engage visitors and residents in the preservation of our own special place. 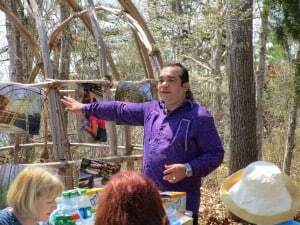 2) to assist visitors, residents, and businesses in developing a greater appreciation for and a deeper connection to the region’s unique and fragile natural beauty, native plant, marine and wildlife habitats, culture, and history through education and hands-on experiences. To date we have funded 15 projects throughout Cape Cod. Cultural-heritage projects have included the development of the Hyannis Sea Captains’ Row Trail and map. 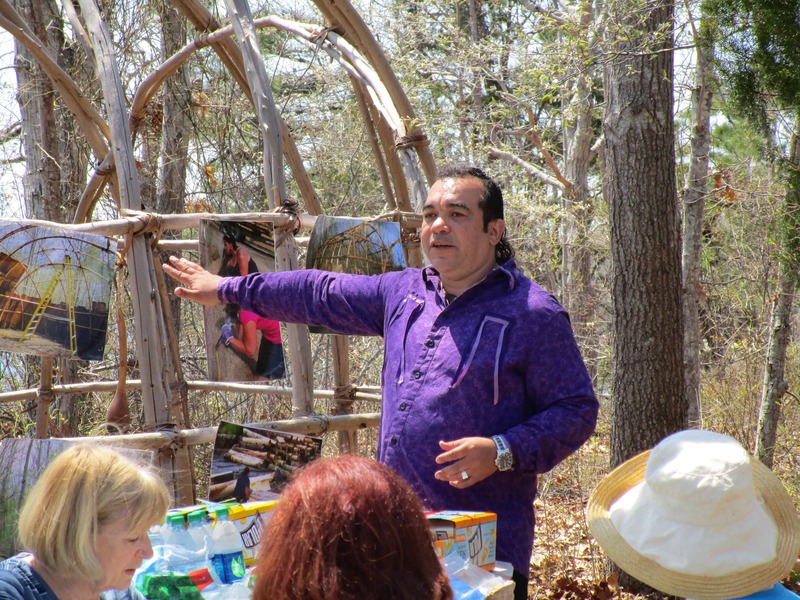 Another was the Waquoit Bay Reserve Wampanoag wetu construction and education project, based on local Native American life-ways and estuaries that highlight the connection between people and the environment. 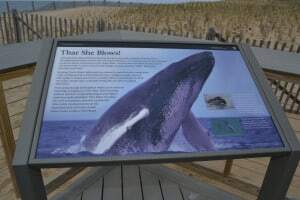 Environmental projects have included marine plastics reduction, whale habitat education, a water-quality shellfish aquaculture demonstration project, development of a green-practices video, and installation of water bottle filling stations at the Cape Cod National Seashore. As I reflect upon the past four years I’d like to share some of the lessons I’ve learned from development and management of CARE for the Cape and Islands. Unlike the programs in Monteverde and the state of Oregon, CARE does not have a supportive organization with an existing funding source. We have learned that it takes time – five years or more – to grow this type of community fund into a vehicle for raising significant financial contributions. Time is required to educate businesses before they are willing to be supportive and get involved in fundraising and volunteering programs. Many businesses have been reluctant to ask their guests or visitors for donations. CARE has found that packaging a donation into the visitor’s hotel room or inviting them to donate online prior to their arrival has been more successful. Additionally, I encourage other destinations to find key local partners to work with, to be flexible, and to be extremely persistent. Given the range of business types and sizes, a one-size-fits-all approach will not succeed. Finding a strong and enthusiastic board and supportive network will aid in the speed and success of the program. And finally, I advise to Educate, Educate, and Educate. While many believe this kind of community fund is a worthwhile concept, it takes a while for businesses to fully understand it and decide how they wish to participate. To learn more, visit CARE for the Cape and Islands. We are accepting grant applications for 2016 projects through Dec. 31, 2015.